For Warriors for a Cause, there is no boundary to what constitutes charity. On Nov. 15, Warriors for a Cause will host “Wine, Whiskey & Warriors,” a first-of-its-kind night for the warriors, dedicated to raising funds for various charities and good spirit, featuring live music, prize raffles and food and drink tastings at Piccolo Bussola, Lubrano’s restaurant. Lubrano characterizes the charity as “a grassroots, guerilla philanthropy organization,” dedicated to helping others often in ways that traditional charities cannot. As a result of Warriors for a Cause becoming an official 501(c)(3) group last year, it has been able to receive tax deductible donations and purchase event supplies cheaper, leaving more money to donate. Based in Mineola, the warriors’ mission is to raise money to donate to other charities and foundations, while often going the extra mile to provide volunteer help, including blood drives and event volunteering. “Just lending a hand” is what the warriors are about, Lubrano said. The purpose of Wine, Whiskey & Warriors is to raise money to have for spur-of-the-moment charity and emergencies, Lubrano said. 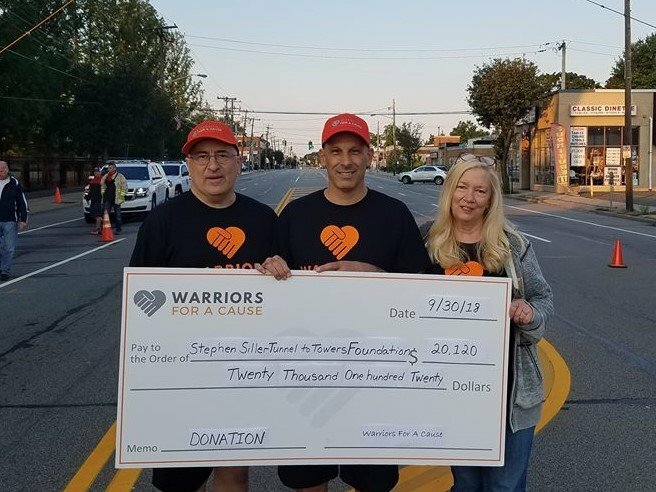 In September, the warriors again participated in the Stephen Siller Foundation’s Tunnel to Towers 5K walk & run. In addition to raising $20,120 to donate, they delivered close to 350 participants to the event on buses. Other causes the warriors support include the Leukemia and Lymphoma Society, which they have raised more than half a million dollars for since the group’s inception, Bosom Buddies and the Carly Rose Foundation. 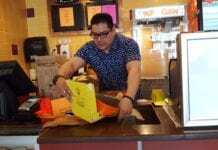 Recently, the warriors assisted in paying for funeral expenses for Mansour Al-Hijazin, whom Lubrano knew through his struggle to open his own restaurant, Petra Grill, in Carle Place. Tickets for Wine, Whiskey & Warriors are $75 online and $90 at the door.